. "Kurt Browning". The Canadian Encyclopedia, 21 January 2015, Historica Canada. https://www.thecanadianencyclopedia.ca/en/article/kurt-browning. Accessed 21 April 2019. Kurt Browning, figure skater (b at Rocky Mountain House, Alta 18 June 1966). Kurt Browning, figure skater (b at Rocky Mountain House, Alta 18 June 1966). Having already displayed his outstanding jumping ability at the 1988 Winter Olympics in Calgary, where he finished 8th, Browning stunned the world at the World Championships later that spring by executing the first successful quadruple toe loop in competition. 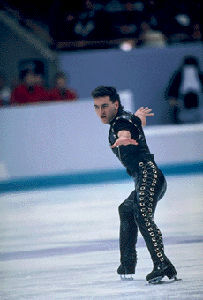 The successor to Brian Orser's title of Canadian champion began to develop the artistic side of skating to prepare for the 1992 Olympics. He quickly became a more fluid skater and his performances displayed more poise and confidence. His development was rapid enough to earn the Canadian and World championships in 1989, only one year after placing 14th in Calgary. He successfully defended both titles in 1990 and 1991, a feat that was rewarded with the 1990 Lionel Conacher Award as Canada's outstanding male athlete, the first time a figure skater was so honoured. A back injury curtailed his training for the 1992 Olympics in Albertville, France. Still suffering from his injury, he competed but could finish no better than 6th. At the Worlds, one month later, he was sufficiently recovered to claim the silver medal. After moving to Toronto and hiring a new coach, he regained the World championship in 1993. Browning again suffered disappointment at the Olympics in 1994 at Lillehammer. A poor performance in the short program left him far behind the leaders and he could manage only a 5th-place finish in the event. However, he was rewarded for his past achievements with an induction into Canada's Sports Hall of Fame later that year. He turned professional after the Olympics and won the World professional title in 1995. 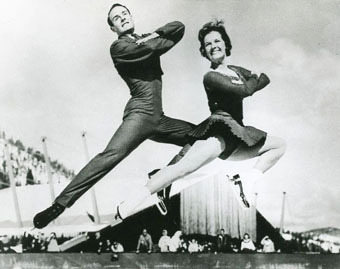 Despite his setbacks at the Olympics, Browning remains one of the world's pre-eminent skaters, and was the first Canadian to win four world figure skating championship titles (1989, 1990, 1991 and 1993). 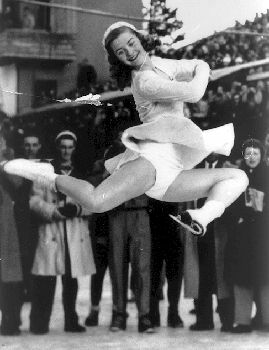 Browning continues to be a strong advocate for figure skating at both the professional and grassroots levels. He toured with the Stars on Ice show and produced and starred in the Gemini Award-winning television special You Must Remember This. With the support of Investors Group Inc. and AOL Canada Inc., he established the "Kurt Browning Junior Figure Skating Fund," to be awarded each year at the Canadian championships for the purpose of helping with the costs of training young, promising skaters. About Kurt BrowningA brief CBC profile of skater Kurt Browning. Forcing the EdgeA review of a biography of popular skating star Kurt Browning. From the website for the Manitoba Library Association. Canadian skating star Kurt BrowningFormer Canadian Olympic athlete Kurt Browning talks about preparing for skating competitions on Global Television.